Trick or Treat Decor & Gathering! This week on the Authentique Paper blog we will be sharing projects created using the Glowing Collection and Glue Arts adhesives. 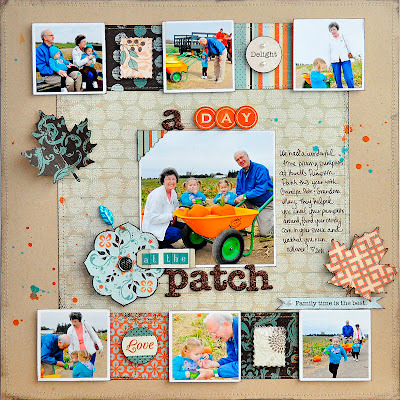 Be sure to stop by the Glue Arts blog every day this week to see what their designers have created with the Glowing Collection. Hello friends! 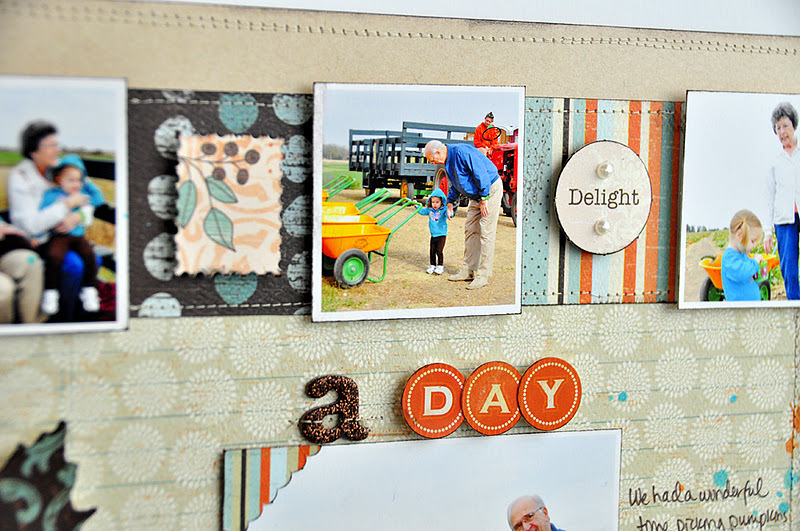 Today I have a couple projects to share with you. The first of which uses the Glowing collection. I created a spooky piece of home decor using a paper mache hat I picked up at a craft store. 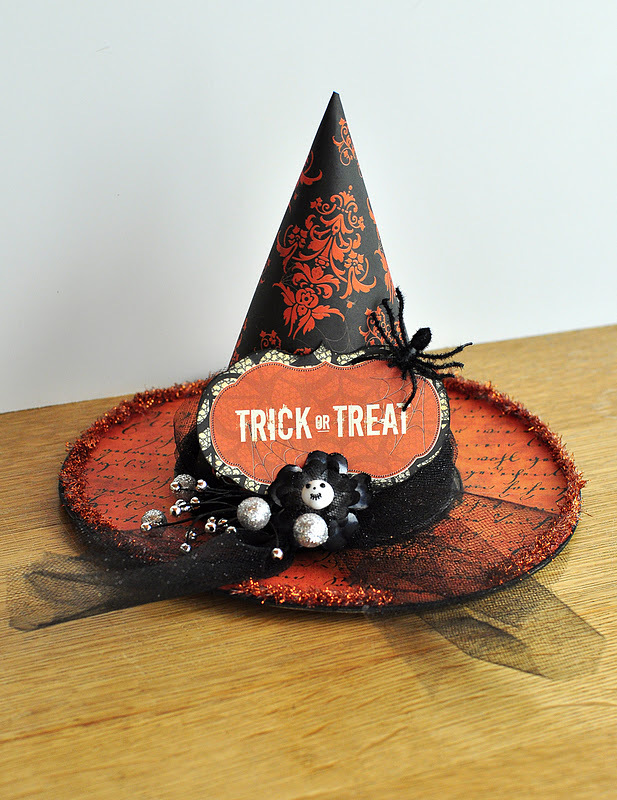 I covered the hat in patterned paper and used the Glue Glider Pro Perma Tac to adhere. 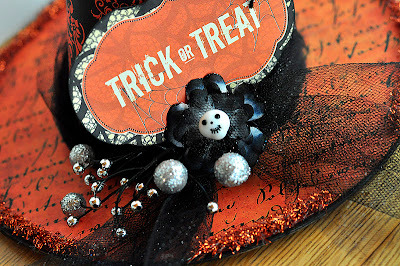 To decorate the hat, I chose a tag from the Glowing Headlines and adhered it with U-Cut-It foam by Glue Arts. I also added a spooky spider, black glitter tulle, a spooky flower and a silver glitter floral spray. My second project for today uses the (just-hitting-retailers) "Gathering" collection. 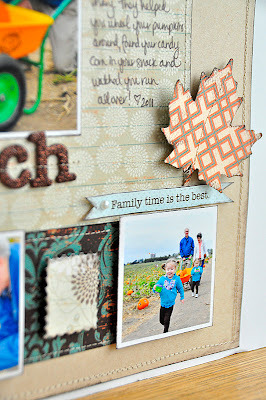 I am just in LOVE with the rich, warm colors that were perfect for these photos of my girls with their grandparents at the pumpkin patch. 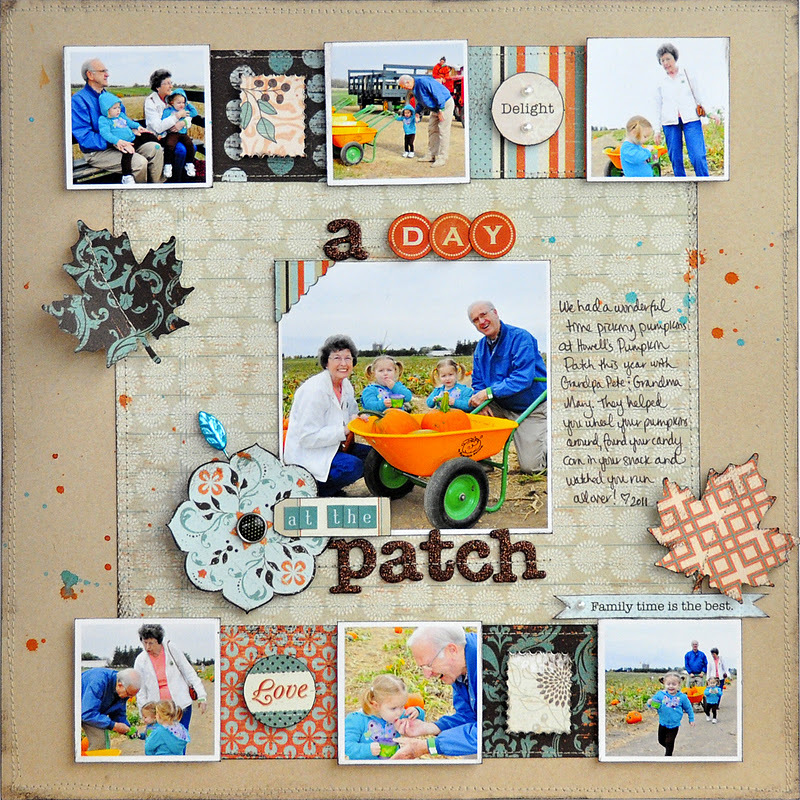 I created a grid design and then placed several of the patterned papers in between and embellished with Icons die-cuts. I cut that gorgeous flower design from one of the patterned papers in the collection. 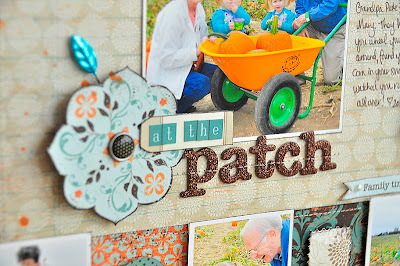 A couple of punched leaves from various patterned papers gave pops of gorgeous color to the layout. Stunning layout! I love how you used so many photos. I absolutely love what this papers can do to your creativity! I love how the leaves look punched out of that paper. Amazing. and that hat is so great! Cool hat and fun layout!!! Wow...what a sweet hat and beautiful layout!!! That witches hat was too cute for words! Beautiful layout as well! Great layout, but I just adore that witches hat! 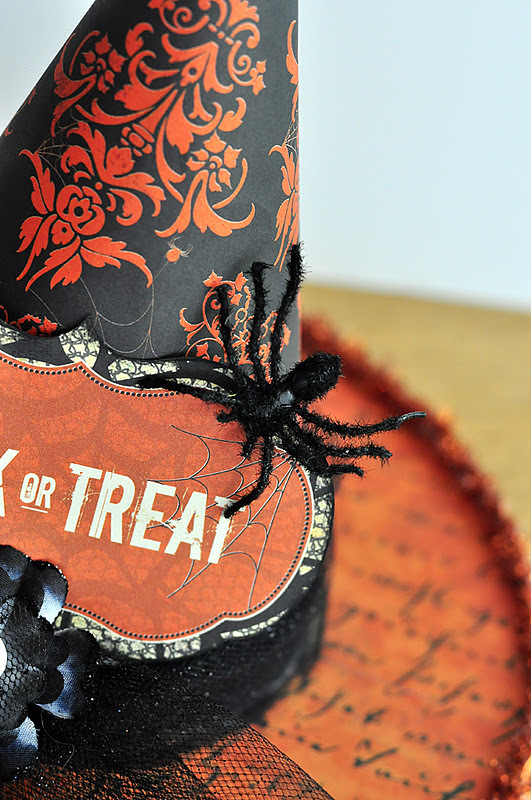 Just adorable and spooky! Wonderful project. 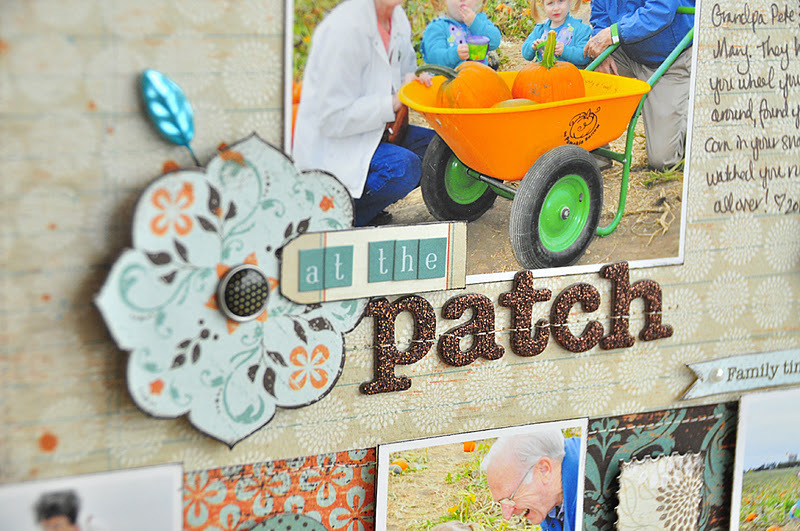 Love these projects, Jill...especially the design of that beautiful layout!